THR: Legacy question: Is there anything about sci-fi shows that you think “Galactica” has changed? Moore: One of the goals going into it (was) we wanted to make a sci-fi show that was relevant and spoke to our times and dealt with real issues that approached the drama in a naturalistic way and made it “real.” If we’re able to define a legacy of asking other shows to do the same in the genre and keep sci fi going in a way that tackles meaningful ideas and challenge audience expectations, I think that would be a great thing. On March 17, there will be a “Battlestar” retrospective at the U.N. in New York and a panel discussion of how the show examined issues such as “human rights, children and armed conflict, terrorism, human rights and reconciliation and dialogue among civilizations and faith,” according to Sci Fi. The “Battlestar” contingent on the panel will consist of executive producers Ronald D. Moore and David Eick, as well as stars Mary McDonnell (who plays president Laura Roslin on the show) and Edward James Olmos (Admiral William Adama). UN representatives on the panel are Radhika Coomaraswamy, special representative of the Secretary-General for Children and Armed Conflict; Craig Mokhiber, deputy director of the New York office of the High Commissioner for Human Rights; and Robert Orr, assistant secretary-general for policy planning, executive office of the Secretary-General. The panel will be moderated by “Battlestar” fan Whoopi Goldberg. The invitation-only panel will take place at 7 p.m. March 17 in the U.N.’s Economic and Social Council Chamber, three days before the Sci Fi show’s series finale. The Sci-Fi Channel will be recording the session and a transcript will be released. Friday will be a big day for science fiction. Besides the Battlestar Galactica series finale, Dollhouse will be having an episode which promises to advance the mythology of the show. This week’s episode provided more suggestions that the “dolls” are not wiped clean as much as was initially suggested. The main story involved Echo infiltrating a cult which was almost forced to commit mass suicide. She was working for the Bureau of Alcohol, Tobacco, and Firearms but I”m not sure how we have one government agent trying to prove whether the Dollhouse even exists while another wound up hiring their services. In terms of advancing the mythology, the most significant event was when it was discovered that Victor was having erections when showering with Sierra. For the benefit of non-viewers who might wonder why this is remarkable, the “dolls” are supposed to be in a child-like state between being programmed for missions. They supposedly lack sexuality and all take coed showers together. Victor apparently is not as childlike as they believed, and we have received suggestions that the same might be true of Echo. 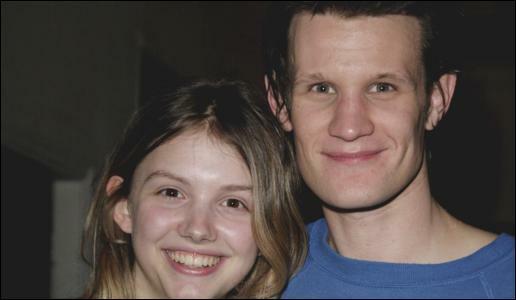 There have been rumors for the several days that when Matt Smith takes over as The Doctor, his companion on Doctor Who will be played by Hannah Murray. Murray was previously on the BBC show Skins. There’s still a few episodes to go with David Tennant. 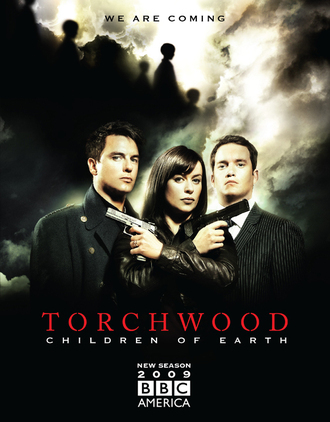 Current plans are for only two episodes in 2009 beginning with the Easter special, Planet of the Dead with Michelle Ryan. Lindsay Duncan will play The Doctor’s companion in the Christmas special which will have the return of the Ood. The planned third special for this year has been pushed back into 2010 but might air as early as New Year’s Day. It will be the final appearance for David Tenant and will take place on Mars. Peter O’Brien reportedly will be playing the villain. While there are only three more televised episodes planned with The Doctor, the format leaves open many more stories as there could be hundreds of years between each special. 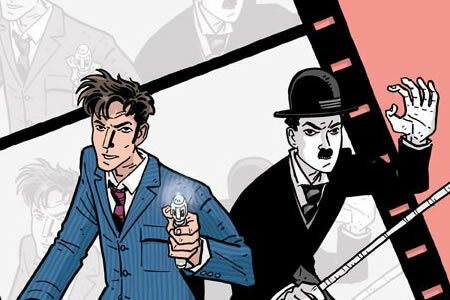 I’m sure there will be many more Doctor Who novels and a comic book series is planned. Maybe they will fill in the gaps in the River Song storyline after Song (played by Alex Kingston) revealed that The Doctor will become involved with her in his future (and her past). “When we catch up to our characters, they’ve mourned the loss of Owen (played by Burn Gorman) and Tosh (Naoko Mori) and are trying to move on,” Lyn explained. Owen and Tosh sacrificed themselves to save their friends in the second season’s finale. Posted in Science Fiction, Television. Tags: Battlestar Galactica, David Tennant, Doctor Who, Edward James Olmos, Matt Smith, Michelle Ryan, River Song, Ron Moore, Science Fiction, Torchwood. RSS feed for comments on this post.. TrackBack URL.